If you frequently use cash to pay for things, you may want to create a cash account in PocketSmith to track these transactions. When you withdraw cash from one of your bank accounts, this transaction in PocketSmith should be set up as a transfer to your cash account. This means that you will then need to create a manual transaction in the cash account to the value of the amount of cash you withdrew from your bank account, and assign both transactions to the same transfer category. For example, if your bank statement has a transaction - ATM Withdrawal ($20.00) - then you need to enter another transaction - Cash deposit, $20.00 - into your cash account. Both the ATM withdrawal and the cash deposit would be assigned to the same Cash withdrawal transfer category, which was previously created. 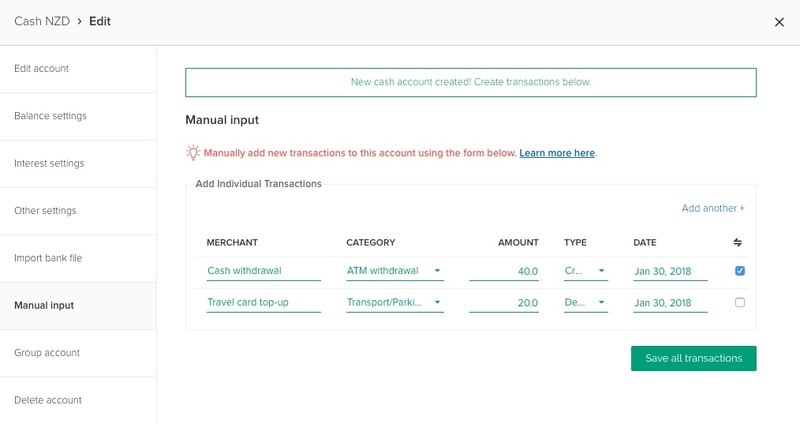 You'll then be able to add transactions to your cash account using the manual input option to reflect your cash spending. As such, the amount of money you have in your wallet should equal the balance of your cash account. 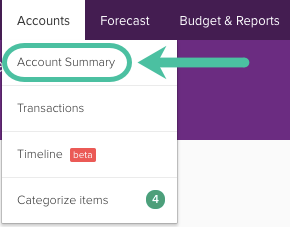 How do I change an existing manual cash account to a cash type account?